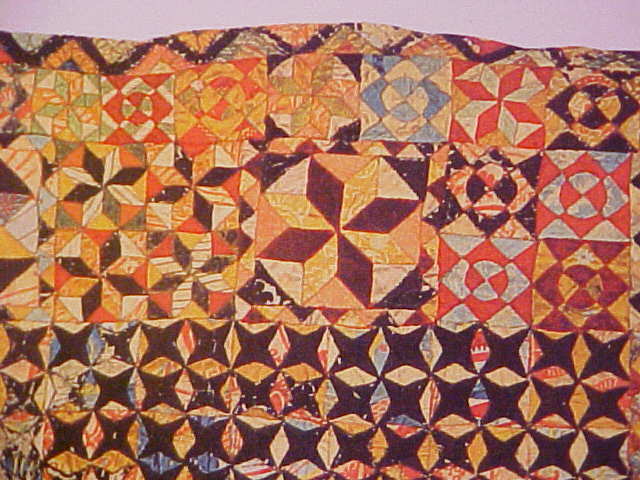 This patchwork chausable can be seen in Jill Liddell's "The Patchwork Pilgrimage" (New York: Viking Studio Books, 1993), page 11. Further proof that ornamental patchwork is no newcomer to the church is provided by this fascinating pieced-silk chasuble that is believed to have been made around 1540. During the Reformation, Roman Catholics were driven underground, and in England, persecution was given additional impetus by King Henry VIII's divorce from Catherine of Aragon in 1533, when he broke with Rome and forced his subjects to swear allegiance to himself as the head of the church. Recusant Catholic priests traveled to private houses to celebrate mass in peril of their lives, and many were forced to disguise themselves as peddlars, carrying their sacramental paraphernalia [sic] around in backpacks. Catholic families built hiding places in their mansions that are known today as 'priest holes'. 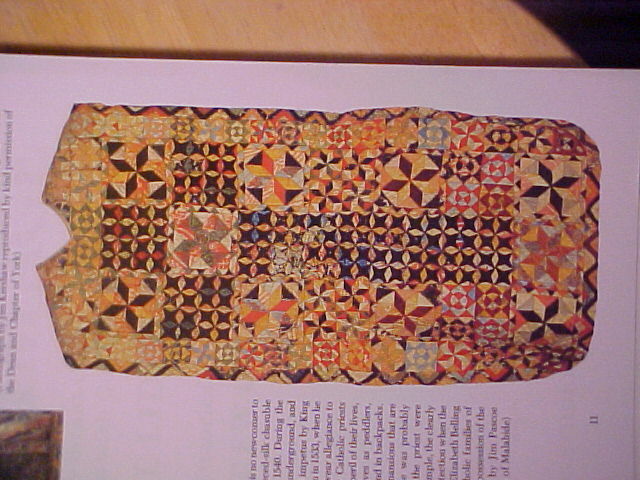 The chasuble was probably deliberately made in patchwork so that if the priest was challenged, it could pass as a bedcover. For example, the clearly defined cross would probably have escaped detection when the garment was folded or rolled. 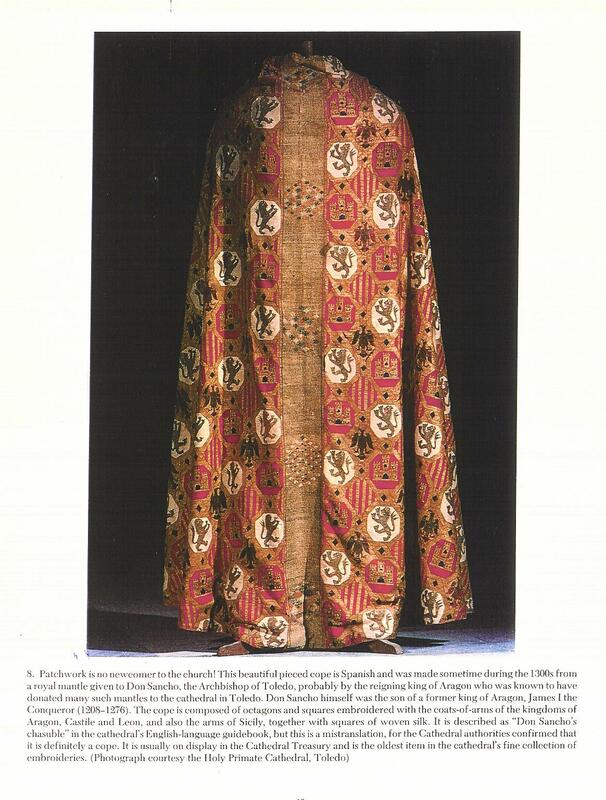 The maker was Elizabeth Belling Arundel, a member of one of the leading Catholic families of England, and the chasuble has remained in the possession of the Arundel family from that time. It does not appear to be quilted. Apparently the provenance of this piece is suspect, however it is an interesting piece.